this month has flown by, I've been painting up a storm and being busy in other areas of life. it's been full. on Tuesday, the first day of spring I did manage to get two paintings done. the first one I showed here. 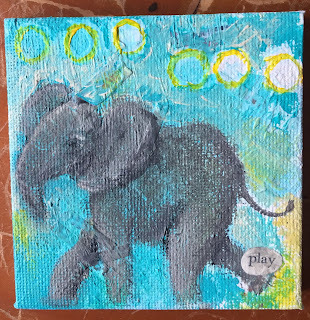 the second one I tried my hand at painting Ganesha, a Hindu deity. lets just say, it turned out poorly. last thing I want is to poorly paint a deity, so I gessoed over it and started again. it still has the touch of Ganesha, though, so all is good. he was a fun little guy to paint! I love the perky little step he's doing. 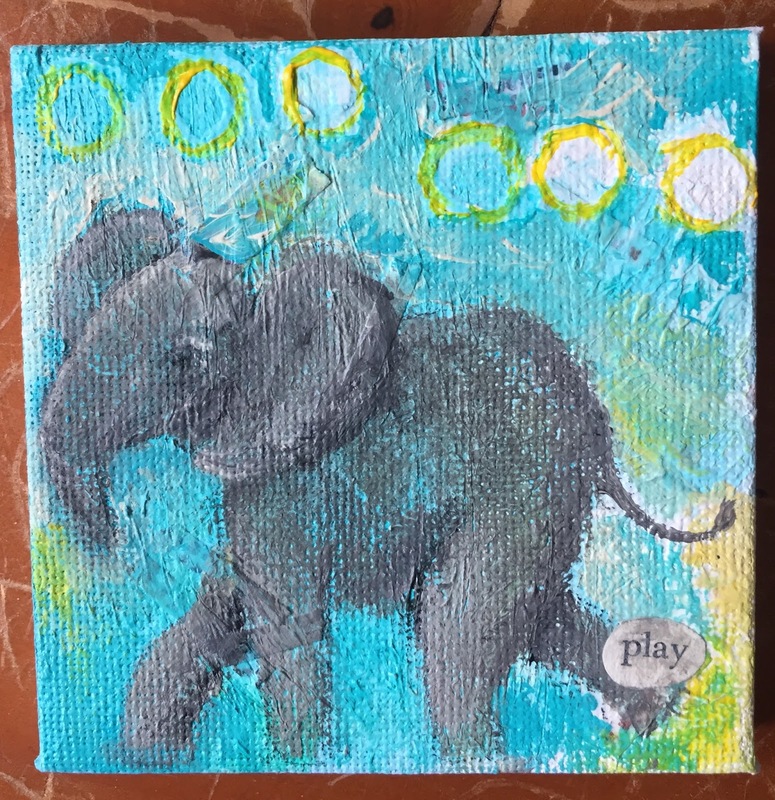 you can find all my elephants in my shop by clicking on the collections button, or if you want to wait til the herd is complete and buy an original 3"x3" mini elephant painting from me, they will be $15 each (including the easel) plus shipping and tax if in Massachusetts. I also did a scary thing! I've been thinking about it for a bit and finally stepped out of my comfort zone after posting a question on facebook about instagram. I received several comments about how wonderful it would be for me as an artist, and how 'easy' it is, and with a LOT of online handholding from a friend I set up an account! let me tell you, for this old lady technophobe, it's hard and took a lot of mental and physical energy to do. I'm sure I'll get the hang of it soon enough, but hitting buttons I don't know goes to what is always a distressing thing for me. guess I've accidentally deleted one too many things for me to be comfortable randomly hitting buttons. but, I DID IT! so, I'm not sure what to tell you is the name to follow, but I think it's heavenspiritcreations. I'd do the trick one does to link, but not sure how or where to link to. like I said, I'll get it, and when I do, I'll let you know! and with that, a nap is in order!